While people in the United States and many other parts of the world usher in the New Year as the clock strikes 12 on the first day of January, this is not the case with the Chinese people worldwide. For them, another year begins once the new moon appears between January 21 and February 20. This 9th of February, they will officially welcome 2019, which commences the Year of the Pig. Also known as the Spring Festival or Lunar New Year, the Chinese New Year is considered as the most prominent holiday in China and for Chinese people in all parts of the globe. It is also regarded as the longest festival in the Asian country as it lasts for 15 days. Schools, government offices, and many companies will be closed from the eve of Chinese New Year until the seventh day of the first lunar month. With hundreds of thousands of workers in cities returning to their provincial hometowns in China to celebrate the holiday with their families, the Spring Festival is known to cause the world’s largest human migration. Due to the fact that many Chinese are living overseas, the celebration has extended to several other countries, including Indonesia, Thailand, Malaysia, the Philippines, and some parts in Europe and North America. Vietnam, Korea, and Tibet have even developed their own version of the Chinese New Year. Public establishments in China and Chinese communities overseas decorate their premises one month before the holiday. People would also beautify their houses on Chinese New Year’s Eve as part of their custom. Red would pretty much be everywhere. 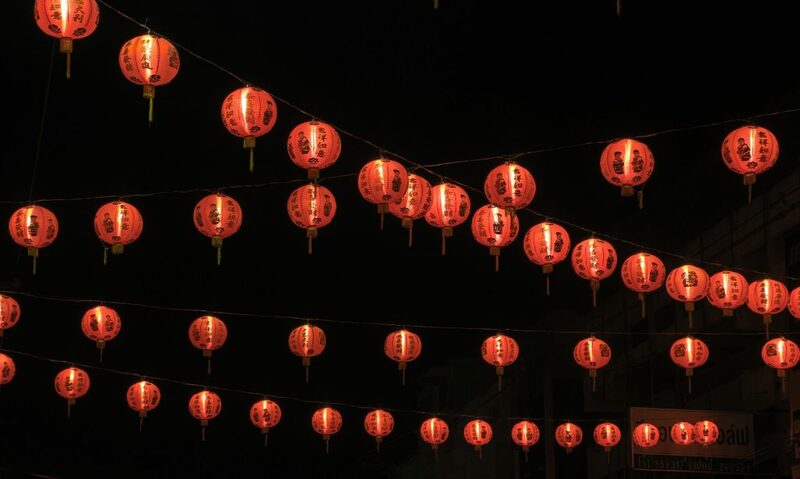 They would hang red lanterns, post red posters with poetic lines on their doors and windows, and adorn their living rooms with red dolls to honor the year’s zodiac animal. On Chinese New Year’s Eve, families everywhere would gather for a reunion dinner, which is believed to be the most important meal of the year. The dinner takes place after they watch the Spring Festival Gala on television. People would stay up late until the clock strikes 12 when they welcome the New Year with fireworks and firecrackers. They normally set fireworks twice—at midnight to scare off “monsters” and bad luck and the second time on the morning of Chinese New Year to attract good luck. The Chinese people celebrate the Spring Festival by exchanging gifts, just like what we do during Christmas. Expect to see children happily receiving red envelopes with money from their parents and grandparents. Red envelopes are also believed to bring luck and prosperity, which is why they’re really important for the Chinese people. Most cities celebrate the Spring Festival by putting up traditional shows and dances, including lion dances, dragon dances, and even a live reenactment of an emperor’s wedding. Parks and temple fairs would be selling a variety of traditional Chinese products and snacks. Before the start of the New Year, the Chinese people make sure that they remove all the clutter in their homes to invite good luck and prosperity for the coming year. This means disposing of broken and defective appliances and other things. How about doing the same for your old and defective vehicles that are just gathering dust in your garage and driveways? This will certainly remove the clutter in your home—one Chinese New Year tradition that anybody can follow with good results. At the same time, when you donate it to us at Breast Cancer Car Donations, you’ll turn your clunker into a lifesaver since we will use it to help save the lives of needy breast cancer patients. Any vehicle you donate—regardless of its age or type or condition—becomes a source of financial support for our charity partners. These are IRS-certified 501(c)3 nonprofit organizations that are devoted to providing comprehensive breast health services to the needy people in your community and elsewhere in the country. The services they provide include free breast cancer screening for individuals to enable early detection of the life-threatening disease. They also use the funding to undertake breast cancer prevention and education campaigns. Moreover, they provide uninsured and underserved breast cancer patients with financial assistance as well as access to medical facilities so they can undergo full treatment, thus increasing their chances of surviving the disease. You will also personally benefit from your vehicle donation since the top tax deduction you can claim once your vehicle gets sold can significantly lower your tax bill. If you want to know more about how your clunker can become a powerful tool that can help save lives, call us at 866-540-5069 now or send us a message online. You can also check out our FAQs page for more information. If you’re ready to help bring breast cancer numbers down, you can donate your car today by filling out our secure online donation form or calling us directly. We accept almost all types of vehicles regardless of their age and condition. We also accept vehicle donations anywhere in the United States since we have car donation programs in all 50 states. Get That Clunker Out of Your Home! Mark Chinese New Year’s Day by getting that clunker out of your home. Call us at 866-540-5069 and join us in saving lives with your car donation!